Misunderstandings about the history and original intent of federal grazing law by both ranchers and federal agents is fueling tensions across the West, making the issue timely and important, she said. 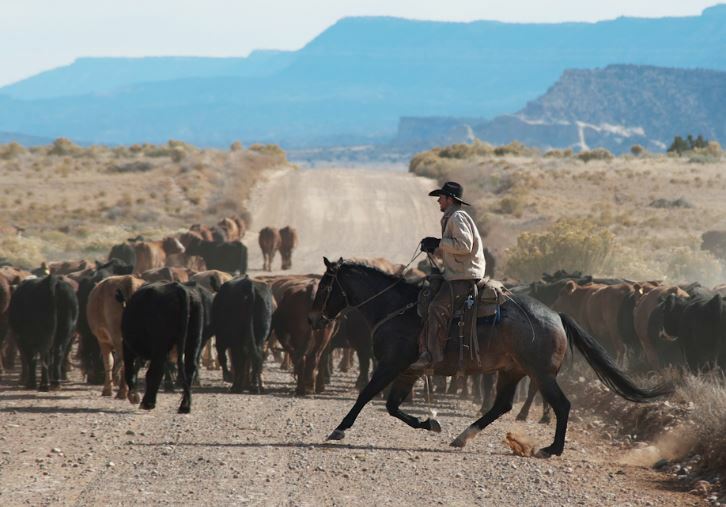 Like many other ranching families across the region, Bonds’ family settled the area prior to the arrival of federal land management agencies like the BLM and the forestry service. A new private property rights organization is gearing up to represent the interests of ranchers who graze livestock on federal lands. Angus McIntosh was named the executive director of the new Range Allotment Owners Association in July. He spoke about his research and policy work during the R-CALF convention held recently in Cheyenne, Wyoming. Lorene Bonds, of Durango, the current president of the Colorado Independent Cattle Growers Association, an R-CALF affiliate, serves on the association’s 13-member board of directors. Bonds and her family hold several federal grazing allotments that have been passed down for five generations. Grazing allotments are commonly thought of as leases but are in fact a split interest arrangement, whereby the allotment holder owns the forage, water and any improvements including ponds, fences and physical structures, Bonds said. In addition to annual grazing fees, allotment owners have also paid a lump sum to own the allotment, she said. Much of the knowledge concerning allotment ownership has been lost over the generations, especially with the prior lack of the internet to make research accessible and convenient, she said. “In our family, we always knew we owned something, we just didn’t know exactly what,” Bonds said. When public lands were first established, the federal government gave priority for their use and management to area homesteaders, McIntosh said during his remarks at the convention. Over the years, however, relationships between ranchers and federal agents have become increasingly strained. “Document every improvement you make and don’t sign anything you don’t agree with,” McIntosh advised. Last year, federal agents approached Bonds about removing cattle from one of her allotments. She was uneasy about the encounter, but after hearing McIntosh speak at last year’s R-CALF convention in Denver, she felt she had the support and confidence she needed to respond to the situation, she said. “He’s actually taking the time to give us tips and advice,” she said of McIntosh. Seeing a need for more education for allotment owners, Bonds helped form the new organization, which in just a few months has signed 150 members representing 10 Western states and has started working to give ranchers a stronger voice in federal land use policy. One of the association’s first goals is to form state and local level advisory boards for giving input to the U.S. Forestry Service, which McIntosh said is required by statutory law. The group also wants to see new legislation introduced on the state level – hopefully with help from Kimmi Lewis, of Kim, a candidate for Colorado House District 64 – that would insure ranchers receive due process and have equal standing with federal agents in land management disputes, Bonds said.